Peace of mind, focus, vision...how does mental clarity help YOU? What does ‘a clear mind’ feel like to you? For me, it’s confidence in my decisions. Trust in the vision. Space to generate fresh ideas or create plans. Quiet, peace, and purposefulness of thought. 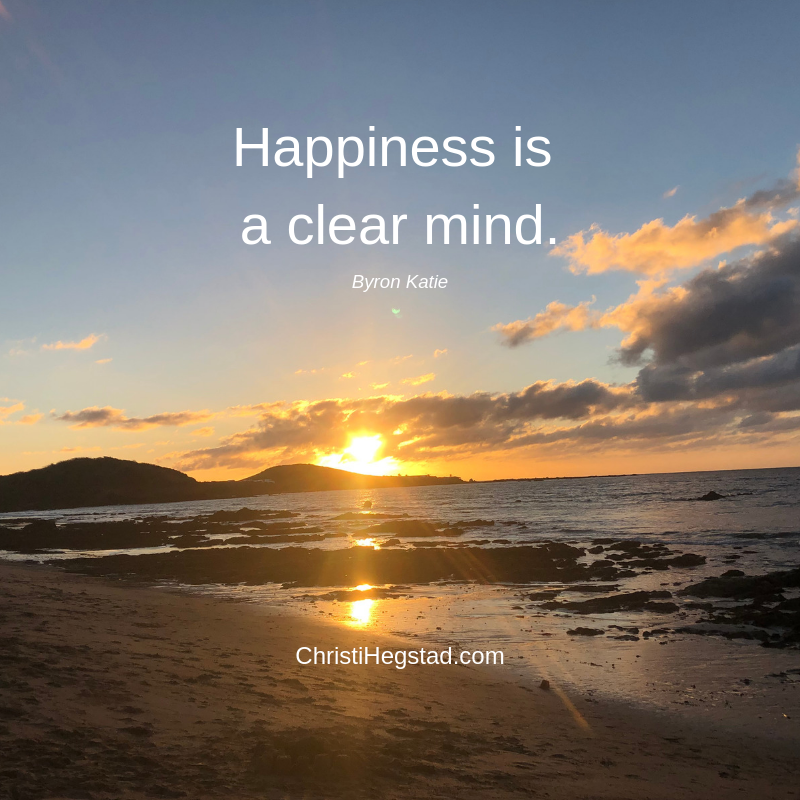 Whether or not you agree with the quote above, having a clear mind likely at least contributes to your happiness. This week, do something to clear your mind. Ideas might include journaling, walking in nature, gaining perspective from someone you trust (coach or mastermind partner, for example), meditating, or starting each workday with ten minutes of quiet planning and gratitude. Play around with ideas and see what yields the greatest results at this time in your life. View it as a fun experiment to approach with lightness and curiosity. What will you do to bring about mental clarity this week? Share your ideas with me on Instagram! For many, clarity feels like lightness, breathing room, relief. If that’s you, and if you could use more of it in your work or life, contact me today!